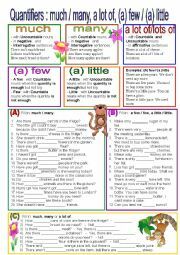 Various follow-up exercises after the presentation of grammar (there to be, some-any, a -an) and vocabulary related to food!!! For speaking practice a set of flashcards is also uploaded (parts 1 and 2)Have fun!!!! 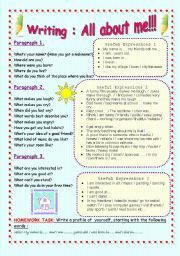 A writing guide that will help your students improve their writing skills. 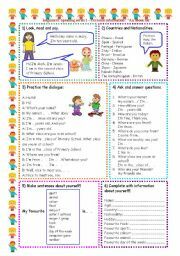 Clear presentation of the Plan and useful phrases that can be used. I made this for my students who are preparing to sit for an exam in December. If you have anything similar or have any suggestions please PM me. Thanks. 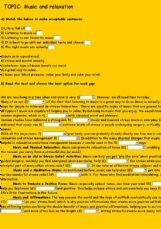 Brief grammar explanation with examples and three exercises for practice. Have a nice week! P.S. Thanks everyone for your nice comments! 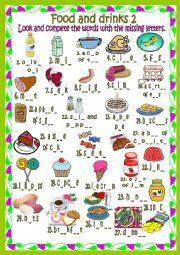 Look and write the missing letters.Spelling practice... Have a nice day! Writing : A profile of yourself - All About me! 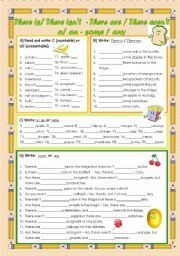 Actually it is a revised version of one of my first worksheets here in this site. I have added useful vocabulary as a guide to answering questions about one´s self. 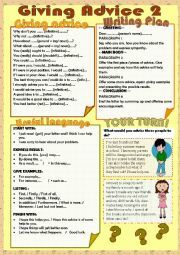 It can be used for speaking practice first and then as a writing guide. 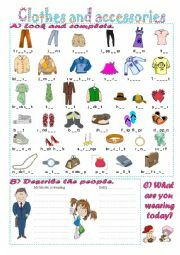 A) complete the words B) describe what the people are wearing C) What are you wearing today? Look and write the missing letters. Food: Spelling practice part 2. 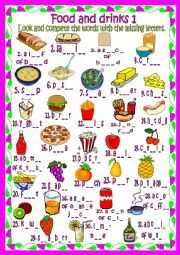 Second part of alphabet game. Letters D, E, F.
Third part of alphabet game. Letters G, H, I. More to come the next days!!! Part 4 of the alphabet game I uploaded yesterday. Letters J,K. Animals around a farm! - With SOUND effects!! Farm animals and other animals that can be found on a farm, such as a worm, a lizard, a butterfly etc. which are not domesticated, nevertheless you can see them on a farm!!! 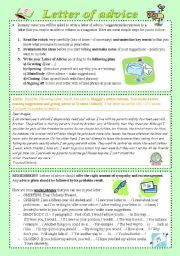 A printable worksheet is also available to accompany this presentation- game!!! With SOUND EFFECTS!!! !Have fun! Part 8 - Letters t u v. Thank you for downloading and for all your nice comments. Actually this is the first powerpoint presentation I have ever made and I am glad you like it!! !Have a nice day!!! alphabet game - part 7 - letters q, r, s.
Part 6 - letters n, o, p.
LAST PART of the alphabet game (At last!!!!) Letters w x y z. Have fun!!!! And THANK YOU again for downloading. Two exercises that help students prepare to write an essay on the topic: Music is perhaps the best way to relax.